New, some sunning of back cover. 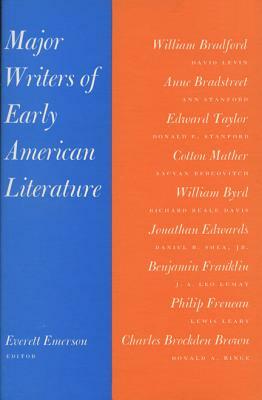 "Major Writers of Early American Literature" provides a fresh appraisal of the most important authors of seventeenth and eighteenth century America. Although knowledge of early American literature has been greatly widened and deepened in recent years, the standard study of this literature is nearly a hundred years old. It is time for a new study, which will take into account the modern reader as well as such recent findings as the discovery only a generation ago of America's best early poet.